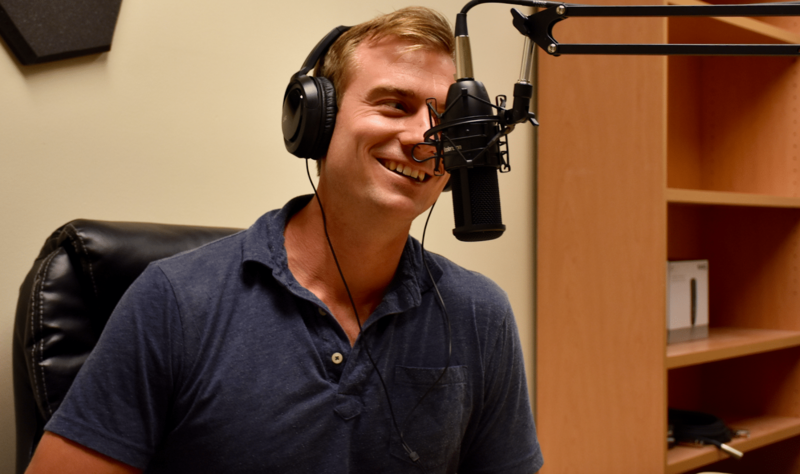 Since we opened up our Denver podcasting studio this summer we have hosted and trained budding curious podcasters and established hosts with over a hundred episodes. This is exactly what we created the podcast studio for and it’s why we launched with a low price of $15 an hour for a four mic setup. As the studio has been discovered by more weekly Denver podcasters we wanted to create a plan especially for them. 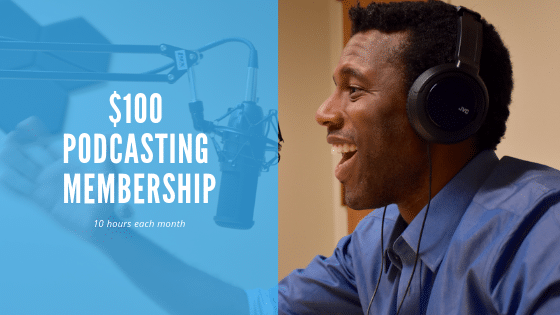 We are excited to announce that we have added a a new podcasting membership plan for only $100 for 10 hours of studio time. For $100 you’ll get access to a studio with four high-quality AKR microphones, an Allen-Heath mixer pre-tuned for podcasters in mind, and a comfortable setting with boons around a square table for a more natural intimate setting with guests. All you have to do is plug the mixer in to a computer with USB and hit record. Not only are the mics and mixers great for Denver’s podcasters we have also focused on creating an inspiring and comfortable environment for the guests. 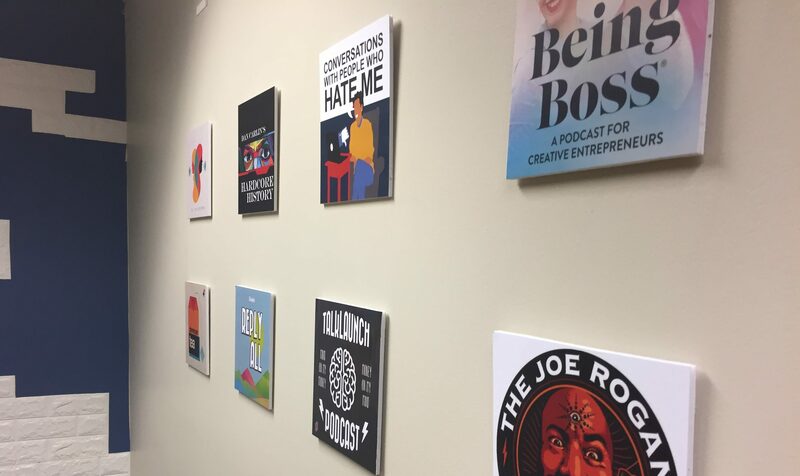 In the last month leading up to the roll out of this new plan the Creative Density team has adding a ‘wall of pod’ where we feature cover art of some of our favorite podcasts and local ones just taking off. A new sofa has so guests can be more relaxed and comfortable in an interview setting versus a formal setting around the table. There is even a sound-absorbing ‘brick wall’ behind the host.